Tasked with producing a new underwater show for Yas Waterworld in Abu Dhabi, The Business Creative contacted Aquabatix after spotting the superb Aquabatique perform on live television for Britain’s Got Talent in 2012. Yas Waterworld, the largest waterpark in the Abu Dhabi is spread over 15 hectares and features thrilling rides, slides and has a purpose built glass tank in the centre of the park. The ultimate aim of the show was to provide something exciting and new to increase footfall to the area where pearl diving experiences and merchandise were being sold. The previous show was failing and audiences were standing up and walking away so Aquabatix and The Business Creative had to turn this around to make this an entertainment area that would draw in the crowds on a daily basis. Together with The Business Creative, Aquabatix choreographed an unforgettable show designed around the theme of pearl diving; a strong tradition in the Middle East. The show attracted huge crowds from the very first day. 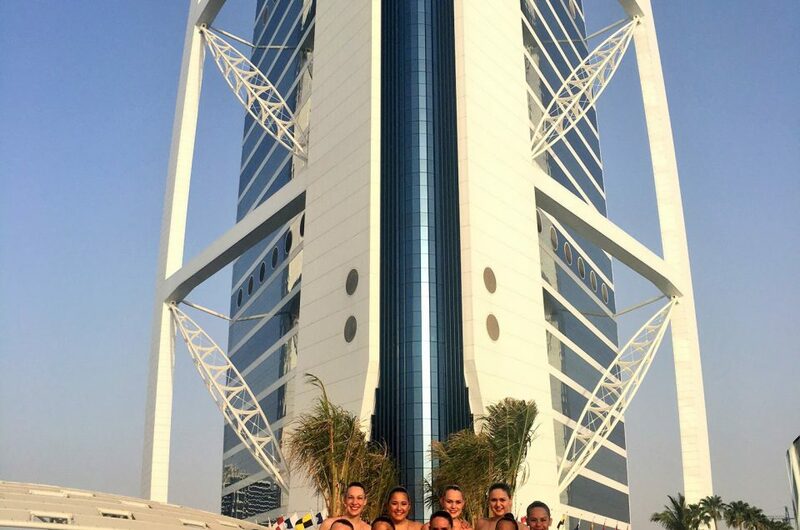 The complex initially called on Aquabatix underwater artists to perform daily on a two-week trial basis. However, it was clear that just after a fortnight of packed-out shows, the talented troupe would be staying in Abu Dhabi a lot longer. The four skilled swimmers, which include former Olympic athletes, perform the four unique underwater shows 4-6 times daily and needless to say, the show, which is now in its 16th month, is still continuing to draw in the crowds and will continue into 2015. “The Business Creative’ was thrilled to be asked to produce this ‘first-of-it’s-kind’ show for Yas Waterworld and teaming up with Aquabatix for the synchronised swimming aspect has been a dream. Their skill, versatility and attention to detail is second to none. We are extremely excited about the production as a whole and really proud to be working with such experts in their field. We look forward to working together much more in the future”. For more information on how Aquabatix can create a residency show at your venue, please contact us. What Have Britain’s Got Talent Finalists Aquabatique Been Up To?